A hardworking teacher from Alabama has received the surprise of her life. 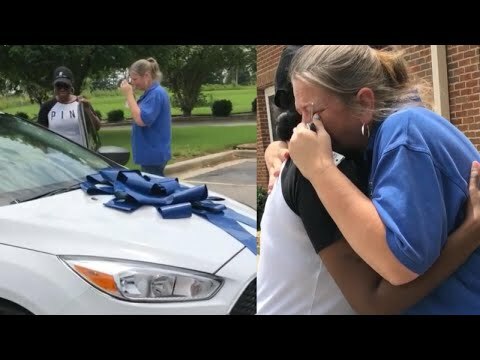 After years of taking the bus to work, the teacher was presented with a brand new Ford Focus. So who is the teacher’s generous benefactor? She’s Courtney Adeleye, a parent at the school who happens to be the CEO and founder of a successful hair care product company.